Mountains of Uzbekistan refer to the mountain systems of the Western Tien Shan and Southern Tien Shan (Gissar-Alay, including Turkestan, Zaravshan, Gissar, Karategin, Alay ridges). The high of the mountains on the territory of Uzbekistan reaches more than 4000 m., but all picks of 4000 m, high are situated in the boundary regions. For example, Khazrat-Sultan Pick – the highest point in Uzbekistan (4643 m.) in Gissar ridge, located in Surhandarya region borders on Tajikistan. 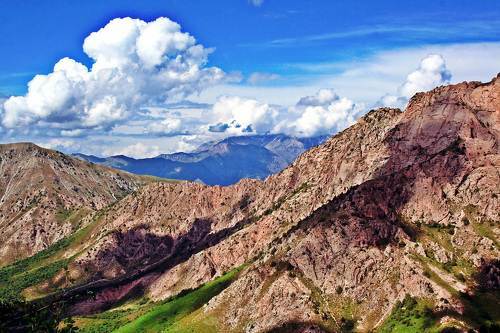 Adelung Pick (4301 m.) is the highest point in Pskem ridge and borders on Kyrgyzstan, as well as Beshtor Pick (4299 m.). The huge and compound mountain system of Central Asia belongs to the highest mountain systems of Europe and Asia mountain ranges. The range crosses the whole Eurasian continent from West to East. The Tian Shan and the Pamir-Alay mountain systems are included to its central and highest part, so called “High Asia” and compose its northwestern edge. Uzbekistan mountains cover an area of 96 thousand sq.km., that is 21,3 % of the territory of the Republic. Uzbekistan Mountains is a very popular place for resting. Chimgan is a unique and nice corner not only of Uzbekistan, but the whole Western Tian Shan. The word “Chimgan” (Chim en) itself is translated as “Green soft grass”. Chimgan is the most popular ski resort in Uzbekistan, located in 85 km. from the capital of Uzbekistan, in the spurs of Chatkal ridge at an altitude of 1600 m. The main point of the whole adjoining mountain region is Greater Chimgan (3309 m.). In winter and spring there are more guests in this area. In summer and autumn there is a relative lull, and there are few tourists during this period. Winter is a hot time for skiers, lugers and lovers to ski on a sheet (cellophane). 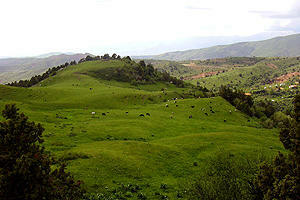 On weekends and holidays the tourists come here by buses from Tashkent and other regions. Spring is a time for alpinists, rock climbers, sky surfers or glider pilots. And at the beginning of June lovers of amateur songs come here from all regions of Uzbekistan and other regions. 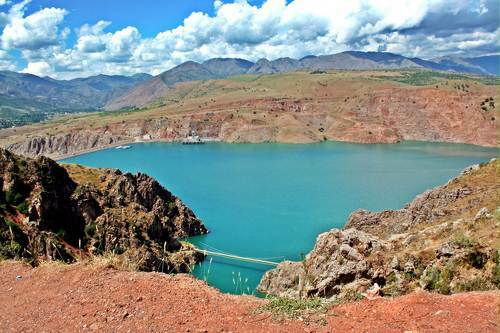 Charvak reservoir is located in Bostanlyk district, Tashkent region, in the North of the region. It is located along the river Chirchik, at the confluence of the rivers Pskem and Chatkal, between the spurs of Ugam and Chatkal ridges of the Western Tian Shan. The reservoir is formed with the rock-dam of Charvak hydrostation, which is 168 meters high. The volume of the reservoir is approximately 2 cubic km. In the area of Charvak reservoir there are many ancient historical and archeological monuments. Particularly, not far from the reservoir on the river Paltau that is the right inflow of the river Chatkal, there is a famous site of primitive people. On the bank of the reservoir there are many boarding houses, resorts and child summer sports and fitness camps.